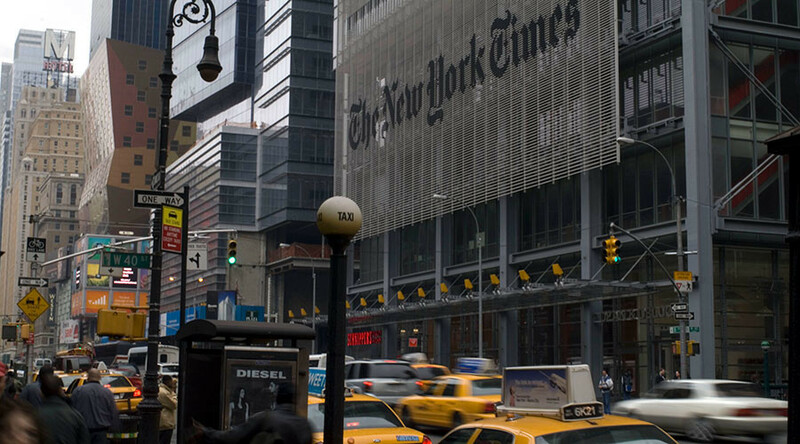 The New York Times has reportedly fired an editor featured in a Project Veritas undercover video. A new video in the series shows another editor admitting to media bias and laying out her views on President Donald Trump and Vice President Mike Pence. Project Veritas president O’Keefe announced on Tuesday that Audience Editor Nick Dudich was fired. Dudich was the subject of two Veritas videos published last week. A new undercover video, published earlier in the day, shows Homepage Editor Desiree Shoe trash-talking Trump and Pence to two undercover reporters in what appears to be a bar. “Yeah, part of it was because it was sensational,” Shoe said. "I think one of the things that maybe journalists were thinking about is like, if we write about him, and how insanely crazy he is and how ludicrous his politics are, then maybe people will read it and be like, oh wow, we shouldn't vote for him." Project Veritas, a conservative group specializing in what it says are undercover sting videos, has released a number of videos on US media outlets in a series dubbed “American Pravda.” The group has so far targeted CNN and the New York Times. Asked why, Shoe brings up the August events in Charlottesville, Virginia. “I’m speaking off the record,” she adds. “The last couple of years it’s changed for the bad,” Shoe admitted, referring to the profitability of media outlets depending on clicks and subscribers. As with other Project Veritas videos, its targets are secretly filmed with the hope of getting scandalous responses. The group don’t show unedited versions of the videos, or provide context as to how they tricked their targets into talking.